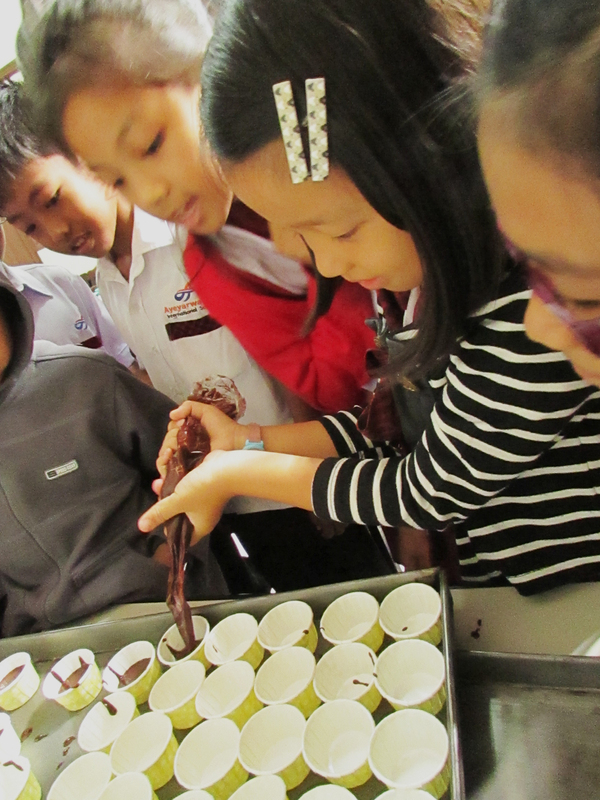 On Thursday I took my third graders on a field trip to a bakery. We had such fun. Last week I started a mini-unit on career exploration. We talked about what a career is (it was a vocab word last week) and what types of jobs are in each career and then specifically what jobs one could do at a bakery. 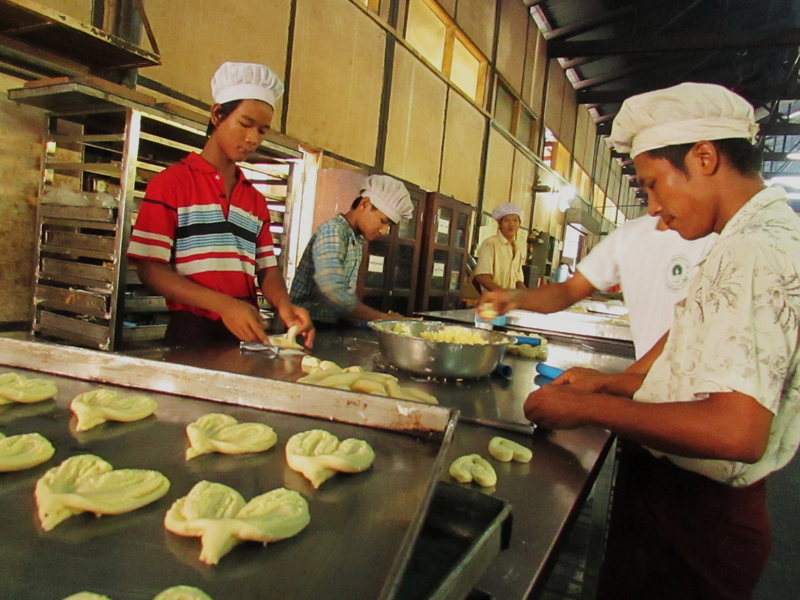 Then Thursday we ventured out to Min Thiha Bakery. 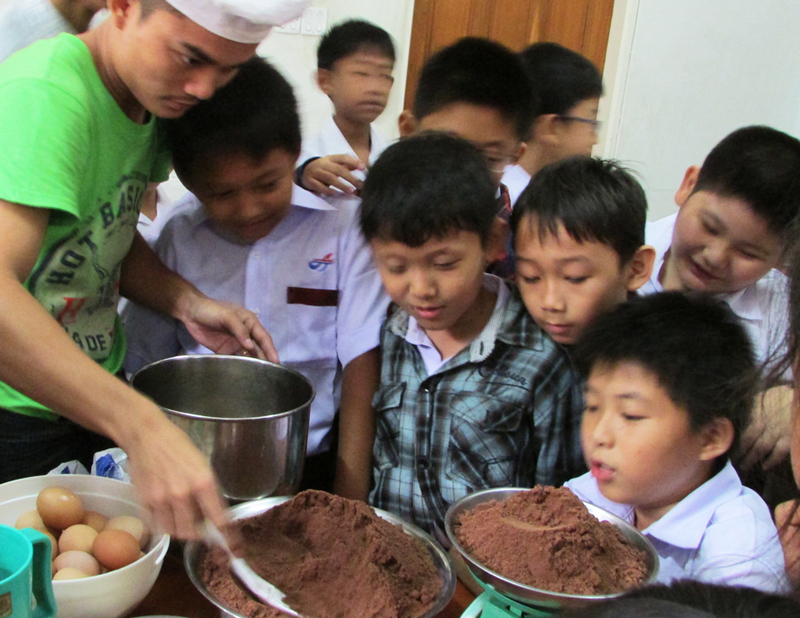 First we were introduced to the art of making chocolate cupcakes. Then we got our hands dirty! As our creations were baking, we took a tour. It was so fun watching their faces and discussing all the important jobs at the bakery. Nothing seemed un-important to them. 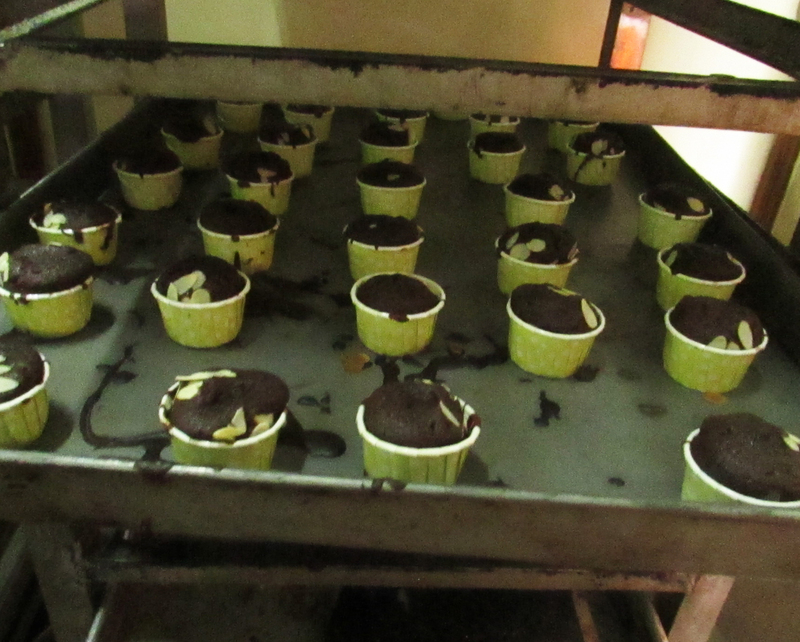 After our tour we returned to eat our delicious chocolate cupcakes. 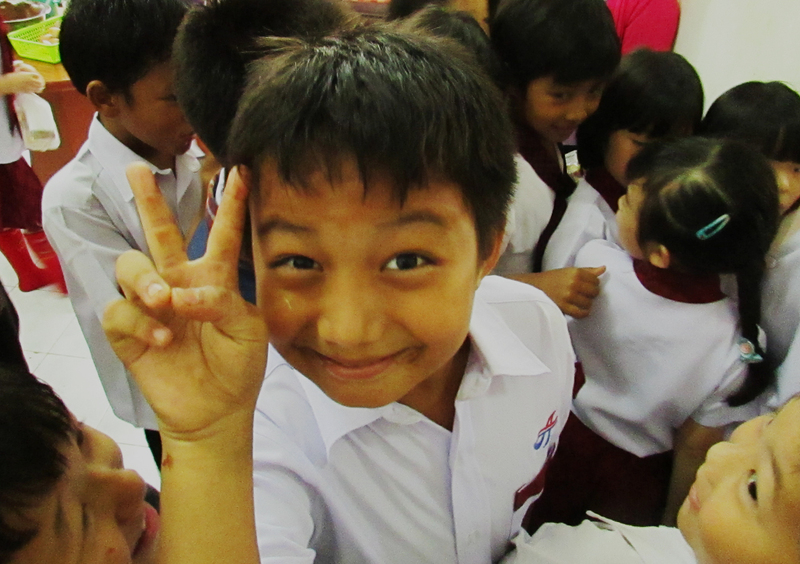 Great questions, so inquisitive and enthusiastic about everything. They were all on good behavior and genuinely had fun. We came home and talked about what jobs they all noticed and then what was involved in each. Then I took a show of hands to see which jobs appealed to the kids. 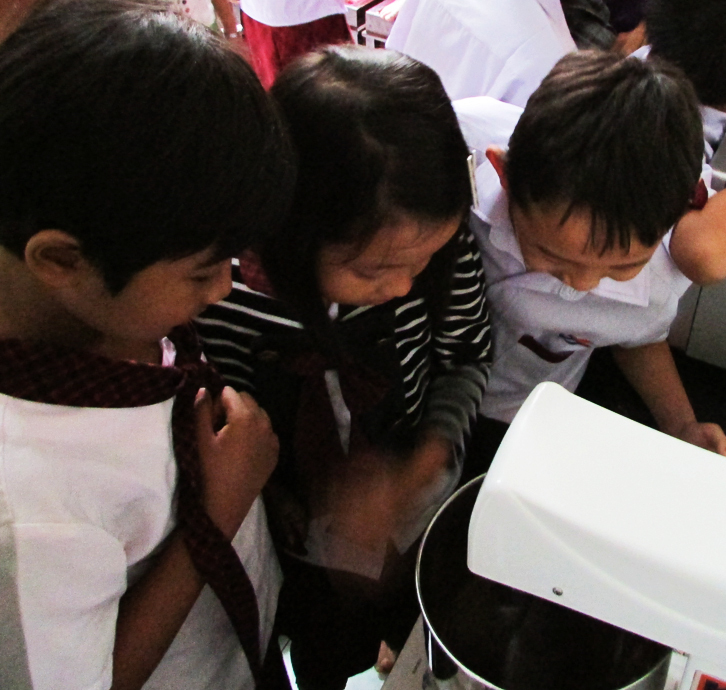 I was amazed, considering these kids are from the very privileged, that so many were interested in cleaning and hands-on baking. But they were and thought it all looked so fun. 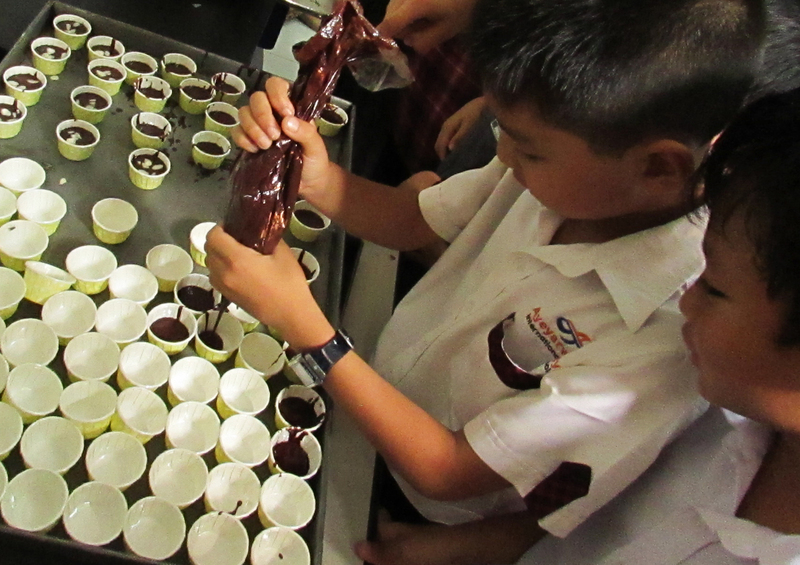 Next week we are going to one of my student’s snack factories. Another chance to see lots of diverse jobs. I’m looking forward to it.